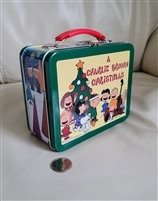 Product advertising items from Ty, John Deere, Campbell, Hallmark, Coca-Cola, Whiskey, Southern signs in toys, lunch boxes, lidded tin form. American and German tins. Berrie's gifts collectibles plus Folk Art instruments and battery operated toys. Fun items section for play or storage with a daily purpose in any home. Anheuser-Busch A Bottled Beers Eagle embossed tin lidded box in great design. John Deere tin bucket "Nothing Runs Like a Deere". Fine Cigar and Pipe Tobaccos composite material embossed advertising wooden board. Vintage wooden cover album with Ducks drawing, New Orleans LA. Folk roots rhythm, Lingerie washboard from The Zinc King #703.